Breakfast to Remember | Alzheimer Society of B.C. Breakfast to Remember events return to Victoria and Vancouver in February and March, 2019. 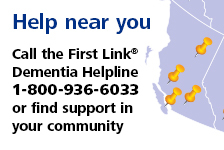 Two-in-three British Columbians have personally known someone who is living with or who has lived with dementia. These people are our family members, friends, business partners and colleagues. Breakfast to Remember is an opportunity for B.C.’s business community to help create change for people affected by dementia by changing the conversation about dementia and helping fund programs to ensure people affected by the disease are not alone. This year’s Breakfast to Remember events in Victoria and Vancouver include inspiring talks from leaders in both business and dementia research. For information or to purchase tickets to the Victoria, 2019 Breakfast to Remember, presented by Trillium Boutique Senior Living on February 26 at the Fairmont Empress, click here. For information or to purchase tickets to the Vancouver, 2019 Breakfast to Remember, held March 7 at the Fairmont Waterfront, click here. Tailored event sponsorship opportunities are now available. Contact Hart Dashevsky at hdashevsky@alzheimerbc.org or 604-742-4925 for more information.